WEST COLUMBIA, SC -- There was a chill in the air Friday morning, but the Congaree Elementary fourth-graders in Janette Babcock’s class didn’t seem to notice. That’s because, after months of waiting for planting season, the big day to get their hands in the dirt had arrived. 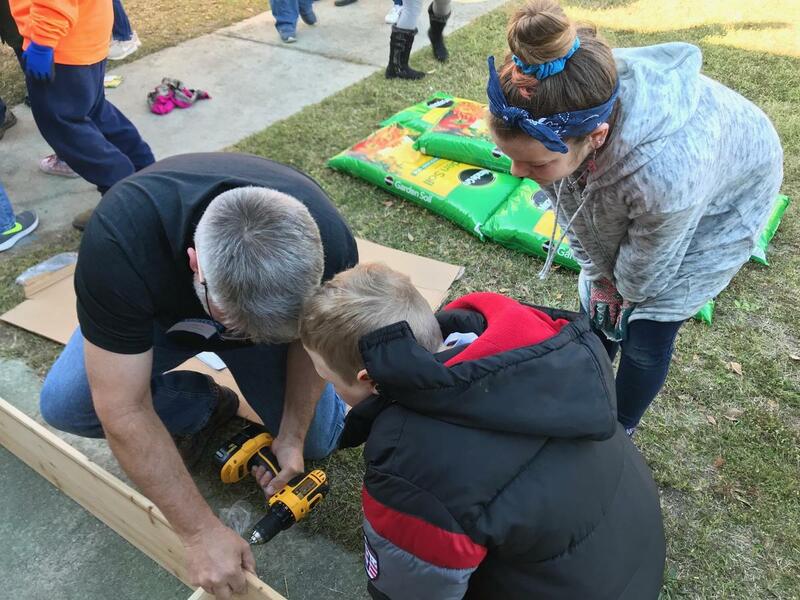 After months of planning, students -- with the help of volunteers -- built raised garden beds and planted seeds in a small courtyard at the school for what will become a community garden of flowers and vegetables. The project was made possible with a $1,000 grant that Babcock was awarded from Colonial Life. We talked with Babcock about the gardens and what she hopes her students will learn from the project. Q: Tell us a bit about the garden project and how the idea came about. Babcock: The courtyard outside of my class inspired me to create an opportunity to make a real world connection with our plant life cycle unit. My husband and I researched the best method for a garden in a small space. Raised garden beds fit perfectly for my needs. I wanted to plant vegetables so the students could experience the farm to table concept. 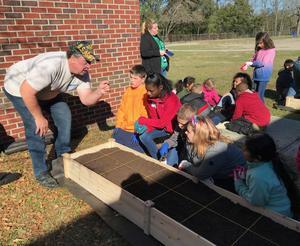 Colonial Life offers a Strong Schools Grant Program and I wrote a grant for the garden. Q: How much of the planning for it have students done? Babcock: We spent several weeks incorporating the gardens and planting via all of our content areas. We discussed our growing zone, viable plants, math skills for the area of the garden, plant structure and plant needs. Q: What will be planted in the garden, and what will you do with all of it? 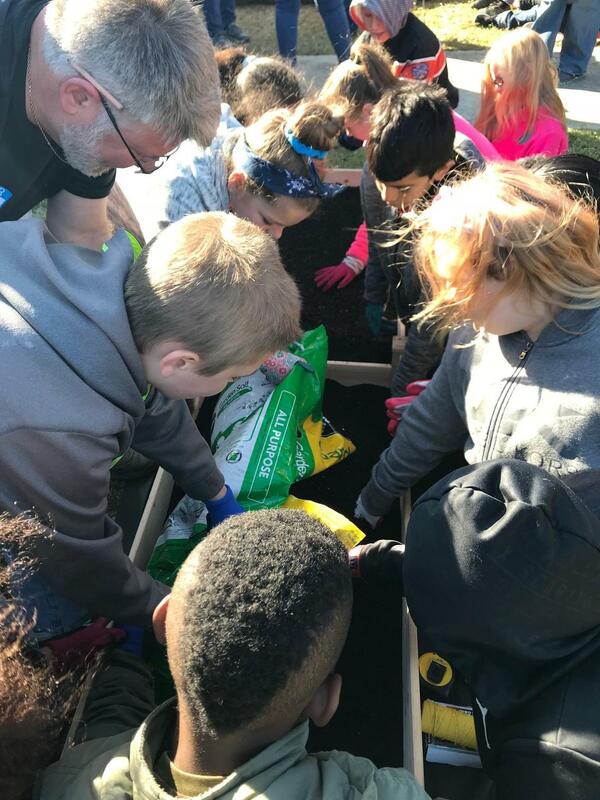 Babcock: We planted, beans, peas, carrots, squash, asparagus, onions, herbs, lettuce, cucumbers, flowers and butterfly bushes. We plan to harvest our food, sample our final product, and share it with the fourth grade classes. Q: What do you hope the kids get from this? Babcock: I hope they will gain a valuable real world connection with the plant life cycle and the concept of farm to table in a fun learning environment. 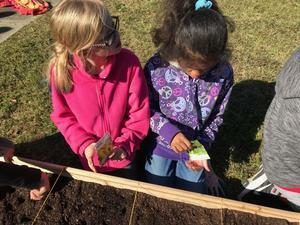 Babcock: It is thrilling to see how excited my students are to participate in this garden project. 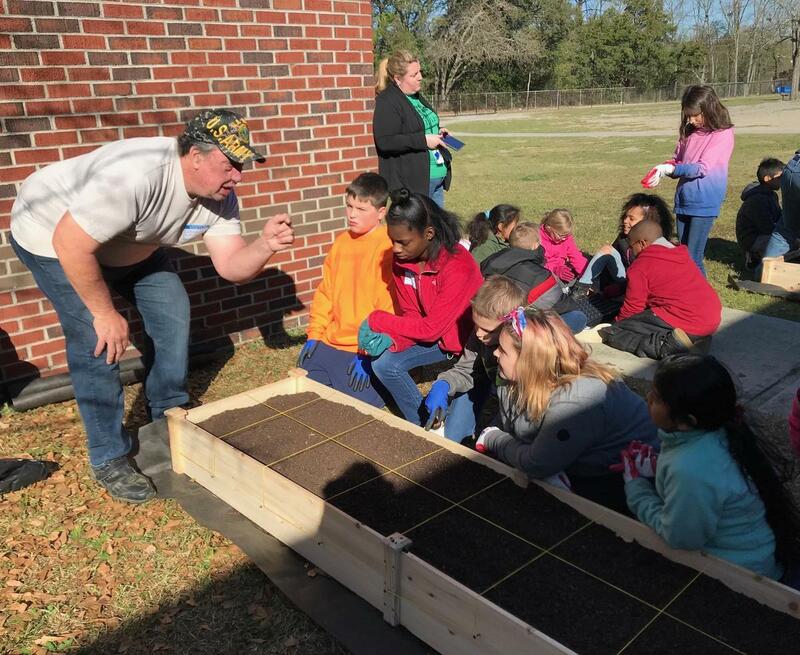 I am grateful for organizations like Colonial Life that provide funding to schools for hands-on learning, as well as for the community volunteers who provided fabulous gardening experience for seed selection and planting advice -- Josslyn Smith and David Sauder.